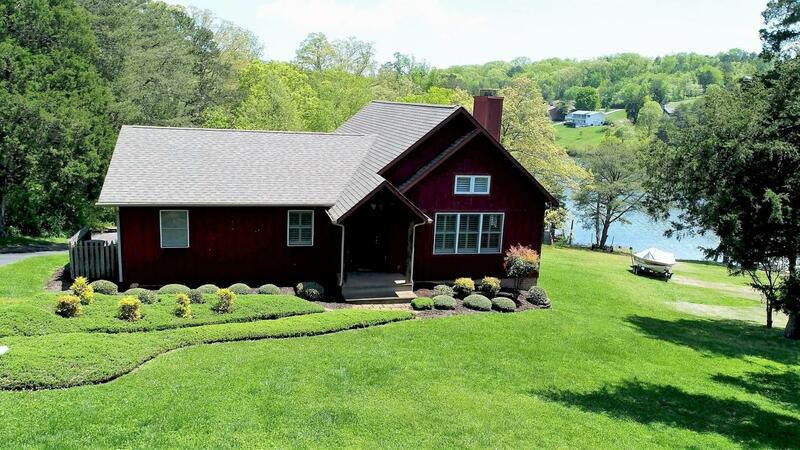 Just reduced $50,000 on this beautiful waterfront home w/ sloping yard to a peaceful cove, year-round deep water on Fort Loudon Lake, entrance to beautiful home with unique tile/stone inlay in hardwood floors, vaulted ceiling w/ lg wood beams. Main includes open floorplan from Great Room, Kitch & Keeping Room (go out to massive deck with amazing WOW Lake View), 3 BR on Main & 2 BA. MBA has walk-in tiled shower & deck. Basement -Office/4th BR, 3rd BA, Family Rm & 2 Car Garage, large enough for boat. Additional lake lot (1.09 acre) can be purchased for privacy and more land -$75,000. Dining Room: Enjoy The Lake Wile Eating - Beautiful!